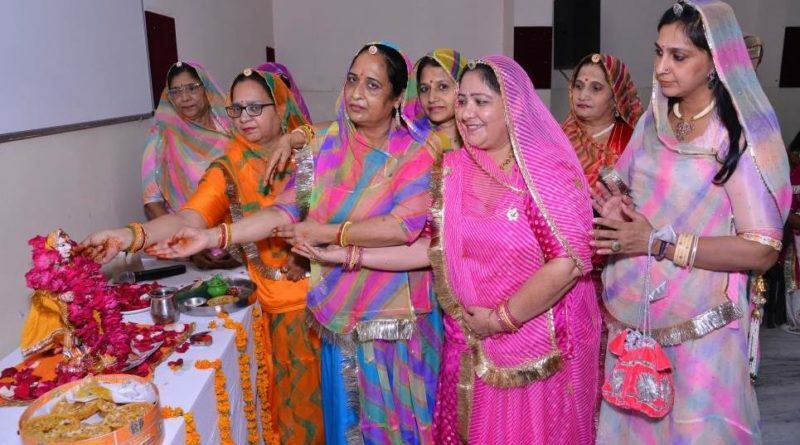 Rajput Sabha Bhawan Under the member of Mrs Hamendra Kumari Dudu, they celebrated Teej festival with much fanfare at its premises on 13 August. Mrs Hamendra Kumari said it was a great fun, The colourful programme featured bhajans, group songs and solo dances, Ghoomer songs along with fun dance. During this occasion, members were present in large numbers.